Fit smoke alarms on each level in your home. Keep them free from dust and test them once a week. Consider buying a 10-year alarm; otherwise change the batteries in your alarm every year. Make a fire action plan so that everyone in your home knows how to escape if there is a fire. 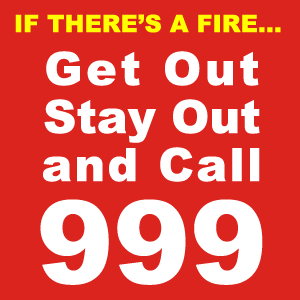 Keep the exits from your home clear so that people can escape if there is a fire. Make sure that everyone in your home can easily find the keys for doors and windows. Take extra care in the kitchen – accidents while cooking account for over half of fires in homes. Never leave young children alone in the kitchen. Take extra care when cooking with hot oil. Consider buying a deep-fat fryer which is controlled by a thermostat (if you don’t already have one). Never leave lit candles in rooms that nobody is in or in rooms where children are on their own. Make sure candles are in secure holders on a surface that doesn’t burn and are away from any materials that could burn. Make sure cigarettes are stubbed out properly and are disposed of carefully, and never smoke in bed. Get into the habit of closing doors at night. If you want to keep a child’s bedroom door open, close the doors to the lounge and kitchen, it may well help save their life if there is a fire. Don’t overload electrical sockets. Remember one plug for one socket. Keep matches and lighters where children can’t see or reach them. Take special care when you’re tired or when you've been drinking. 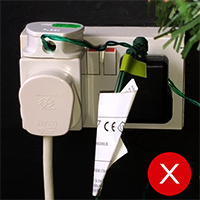 Don’t leave the TV or other electrical appliances on standby as this could cause a fire. Always switch it off and unplug when it’s not in use. 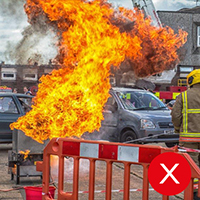 View more publications which contain additional fire safety information here.